2013 is the Year of Italian Culture in the United States. September brings two very important events to Orange County. For those who love to indulge in a good book, the Italian Cultural Institute and the Italian Heritage Archive at Chapman University in Orange welcome Italian best-selling author Gianrico Carofiglio on campus to present the English version of his most recent novel The Silence of the Wave. As an anti-Mafia prosecutor in the port of Bari on the coast of Puglia, Carofiglio has been involved with trials concerning corruption, organized crime and human trafficking. Having sold over 2.5 million books, the politically-charged writer has been an influential member of the Italian Senate for many years. Italian American MLB manager Mike Scioscia has been lobbying for another Angels postseason berth for just as long. We will cheer him on as well as fellow Italian American catcher Chris Iannetta on Sunday, September 22nd at Angel Stadium in honor of Italian Heritage Day. 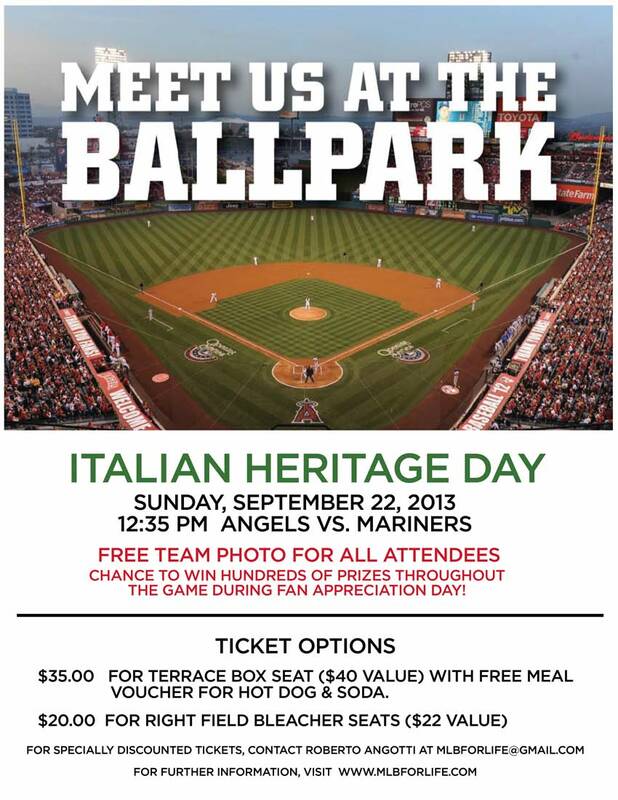 Come join the fun at Angels Italian Heritage Day on Sunday, September 22nd. 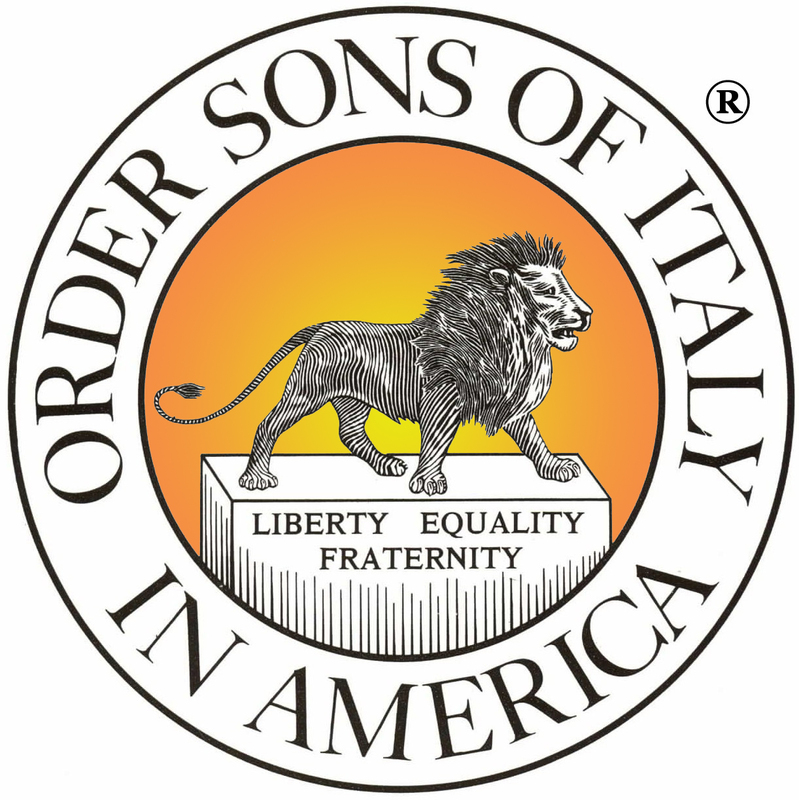 The Order Sons of Italy in America (OSIA) is the largest and oldest national organization for men and women of Italian heritage in the United States. The Orange County OSIA Lodges graciously commend our efforts to bring Italian Heritage Day to Angel Stadium for the first time since the Anaheim landmark was resurrected in 1962. With a common goal to make this family event an annual celebration of everything Italian, the Sons of Italy have been instrumental in preserving our cultural heritage in Orange County. We salute OSIA for supporting our mission in reaching both young and old Italians through Major League Baseball for some great fun at Angel Stadium. of the Italian Catholic Federation. 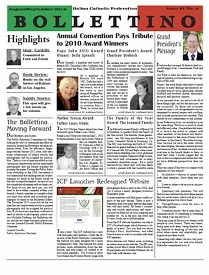 The Italian Catholic Federation (ICF) is a family-oriented, nonprofit fraternal organization dedicated to promoting activities that build faith and family spirit and bring men, women and children of all ages together. 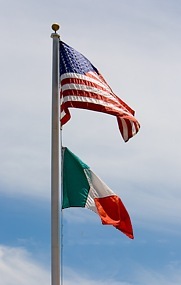 ICF members enthusiastically embrace the concept of of a long overdue Italian Heritage Day at Angel Stadium and welcome the opportunity to expand its member-ship through fellowship with Italians and Catholics in Orange County. Another proud supporter of Angels Italian Heritage Day is Lex Romana (the Italian American Lawyers of Orange County). Taking pride in being the premier Orange County Bar Association affiliate that places equal emphasis on the importance of legal, cultural, epicurean and fermented contributions Italians have made to our society, Lex Romana sponsors many special events and hosts a renowned speaker series. Membership to Lex Romana is open to non-Italians and non-lawyers alike who share the group’s passion for Italy. Thank you Orange County Italians for your support! With the National Italian American Federation (NIAF) working closely with the Italian Ministry of Foreign Affairs to make 2013 the Year of Italian Culture in the United States, we are proud to present and celebrate Italian Heritage Day in Anaheim. Next Article Buon Compleanno to Team Italia’s Chris Denorfia! Can I sit next to the young lady in the picture? Casa Italiana Opera Company a CA non-profit will be happy to join you for this wonderful Italian Heritage Day. Mama mia!!! An amazing initiative to bring the community together with a great sport!!! !